Ferrari 250 GTO sold for $28.5 million! 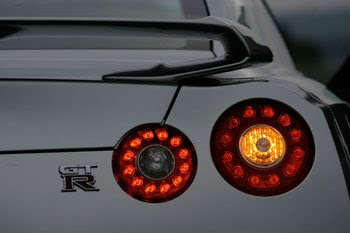 Various sources are reporting that Porsche is accusing Nissan of cheating the Nissan GT-R Nurburgring record of 7:29. To test the claim made by Nissan, Porsche engineers say they bought a GT-R and put it against the Porsche 911 Turbo and the GT2. What they have discovered is that the GT-R was constantly getting lap times of 25 seconds slower than the claimed record. Porsche believes that the GT-R used for the Ring record was not a series production car and that maybe, it was equipped with different tires that offered better grip. The company also said the 911 Turbo and the GT2 used for comparison achieved better times than the Japanese sportscar. Porsche initiated this test of Nissan's claim because the 911 is heavier than the GT-R and has similar power, but did not get such a good lap time of the Nurburgring. Now that the Volkswagen Golf is on it's VI generation, that means that it's prices go down on all previous generations, leaving more room in the budget for performance parts. 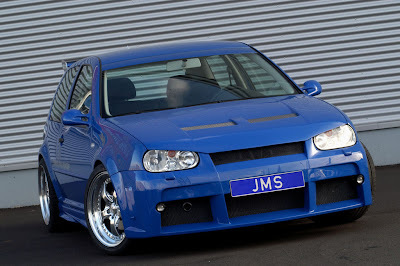 This may be why JMS revealed today it's new tuning parts for the Golf IV. The new kit includes a front bumper with 3 big cutouts, the customer can choose black or silver vents, new side skirts, a new roof spoiler and a new rear bumper featuring 3 big cutouts with integrated exhaust cutters. Also, a new coilover system from H&R was installed as well as a new set of Eta Beta 19 inch alloy wheels fitted with 225/35R19 tires. At the customer’s request, the tuner can install 18 inch ASA wheels fitted with 225/40R18 tires. Price of the kit: $6,600. 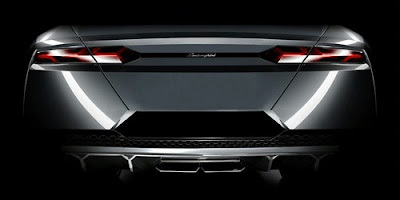 Here we go again… Lamborghini has just released the fourth consecutive teaser photo of its surprise Paris Show debut. 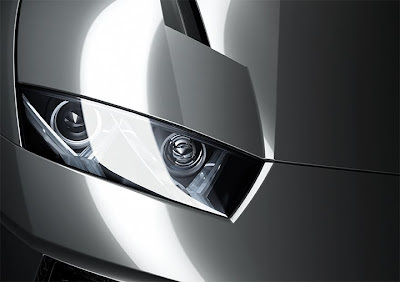 The new photo reveals the mystery vehicle’s front headlamp and well, that’s about it. Makes you wonder how many other pictures will the Italian sports carmaker release before it actually shows us the whole car, because to be totally honest, we're getting a bit tired of the constant teasing. Which kind of spoils the whole surprise. 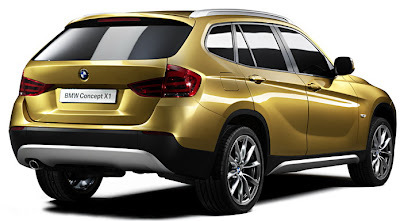 The Bavarian automaker’s X1 Concept will make its formal world premier at the Paris Motor Show in a few days time, but as often is the case the first official photos hit the web a bit earlier. Strip away those aluminum inserts on the X1 Concept and you can easily tell that what you see here is what you’ll get in late 2009 when BMW releases the production version of its baby SUV –slash- Crossover that will sit right under the X3 competing against the likes of the Toyota RAV-4 and VW Tiguan. Citroen is really dragging its feet with the reveal of its GT concept. Here's the latest photos that we've got our hands on, and it's still all looking pretty damn good. The front wing we already know is going to be very aggressive, but what the hell is going on with that rear end? The drawn out wing/table thing looks nuts. As does the lower carbon fibre splitter. It's all for PS3's Gran Turismo Prologue game, which you'll be able to drive the GT concept in (hence the name). But as that's it, we've no idea about the power train. Honestly though, with these looks and no chance of it ever really being made, who actually cares? All we do care about is getting to the Paris motor show on Thursday so we can head straight do Citroen's stand. Not Lambo or Ferrari, but Citroen! Who'd have thought? 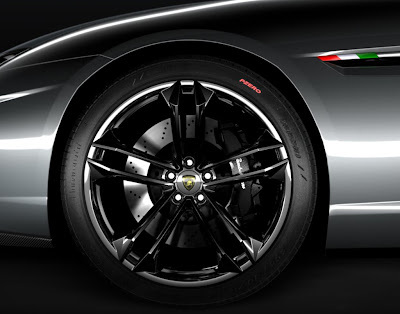 Ever wondered how Ferrari may do a competitor for the Rapide and Panamera? Well, that’s a question very few have asked, but its still fun to see what Russian designer Krasnov Igor thinks how a Ferrari sedan may look. Although an official four-door Ferrari has never existed, the supercar firm has come close. Both today’s Maserati Quattroporte and the Lancia Thema 8.32 of the 80s and 90s have their engines and other components sourced from Ferrari. Pininfarina made a few speciality sedans for wealthy customers (like the 456 for the Sultan of Brunei.) There have also been a few official design studies of prancing horse sedans, but Ferrari has been smart enough to stay out of the family car market, so far. 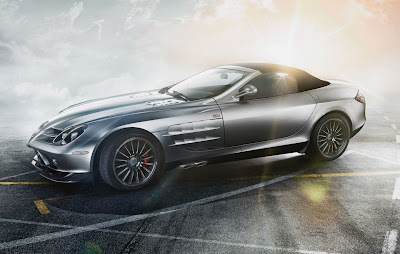 As the era of the Mercedes McLaren SLR winds down to its conclusion sometime in 2009, Mercedes-Benz is releasing what may be the ultimate example of the breed. 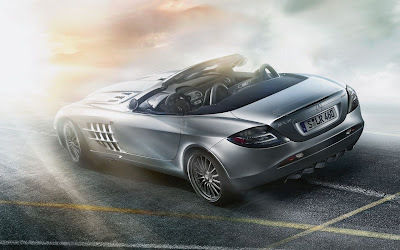 The SLR 722 S Roadster picks up where the 722 coupe left off dropping the 650-hp supercharged 5.5L V8 into the open top body shell. With a top speed of 220.6 mph, this may be the fastest open top production car ever built. And unlike the first generation Dodge Viper, Mercedes has devised a soft top that can withstand sustained 200 mph+ top speeds. Mercedes has tapped into McLaren's F1 experience to create the fully carbon-fiber body that can provide the structural integrity needed at those speeds. The semi-automatic top just needs to be unlatched from the windshield header manually before the rest of the process is handled by the electrical actuators. The vehicle dynamics are also aided by dropping the suspension by 10 mm at each end of the car and recalibrating the spring and damper rates. 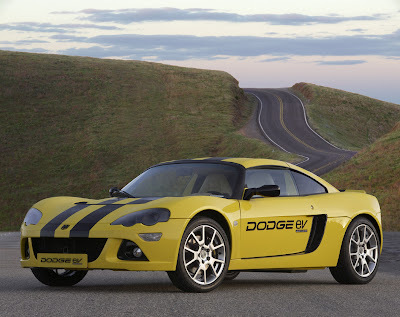 Only 150 examples of the 722 S Roadster will be made available starting Jan. 1 2009. 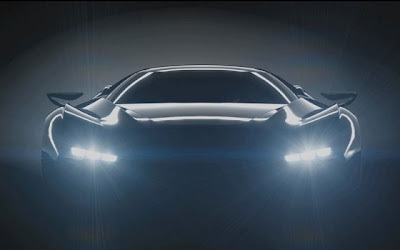 While we've pretty much had it up to our Hans device with the speculation surrounding Lamborghini's Paris surprise, another salient detail has emerged about the rumored front-engined, four-door sedan due to be unveiled on Thursday at the Paris Motor Show.Previous reports about the Lamborghini concept wearing a Urus badge are thankfully bunk (who wants to drive a supercar named after a large bovine?) and World Car Fans has dropped the name Estoque (without citing any sources), which according to Encyclopedia Brittanica is a small blade that delivers the death blow to a bull at the end of a stadium fight. We're still more than a few days away from the official reveal, but in the meantime, enjoy the gallery of teasers below, along with the image above created by LamboPower member a007api. What would you do with $2 million? Most people would not answer, "go on a speed rampage through Brazil". But it seems a guy from Sao Paulo found himself in this situation. The man went on a seven-year run (pun intended) where he didn’t even stop for red lights. 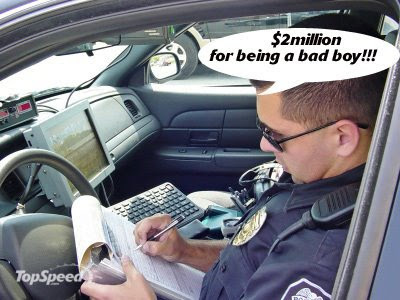 Because the car was not registered in his name, he was able to rack up a combined $1.8 million in tickets and fines. Even worse is that he’s only got 90 days to pay off his almost decade-long string of infractions. But don’t think this is some rich kid who will just write the police a quick check and be on his way. Authorities reported his vehicle as a 12-year-old car worth about $6,500. 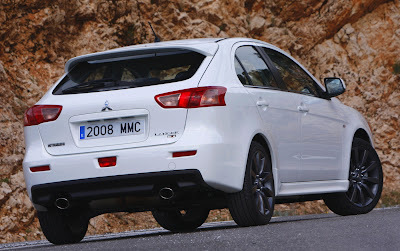 Less than a week before the new Lancer Sportback and its 240HP Ralliart sibling make their world debut at the Mondial De L’Automobile in Paris, Mitsubishi released a full set of images of both versions of the 5door Lancer hatchback or as we prefer to call it for apparent aesthetic reasons, hunchback. It looks as though Acura’s trying to reach out to those that actually enjoy driving a car. 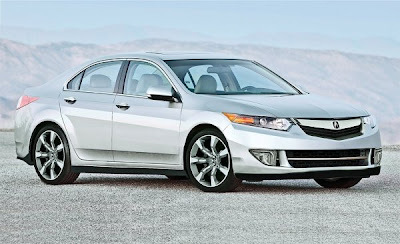 Starting from next fall, the Japanese automaker will offer a new 6-speed manual gearbox on the 2010 TL SH-AWD model. Aside from the fact that it’s the first time that Acura has ever paired its all-wheel-drive system with a stick-shift, the new close-ratio 6-speed manual is approximately 110 lbs lighter than the Sequential SportShift 5-speed automatic transmission currently offered in the top-spec TL. Furthermore, the 2010 TL SH-AWD 6MT models also benefit from suspension upgrades that include special coil spring and shock absorber rates tuned for flatter cornering with reduced pitching motions under acceleration and braking. The manual models also employ firmer engine and transmission bushings along with a sportier tuning for the steering wheel system. According to Acura, the addition of a manual transmission, an all-new clutch system and suspension changes yield an 88 lb. reduction in overall vehicle weight and at the same time, improves weight distribution by 1-percent compared to the automatic model generating a 58/42 ratio versus the 5AT's 59/41 ratio. 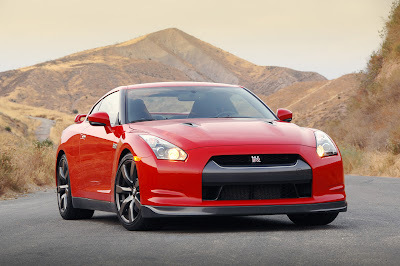 Florida Man Cancels Nissan GT-R Order Due to "Black Box"
A Florida man named Scott Weires has canceled the order for his long-awaited Nissan GT-R. Why? It's not that he was disappointed in the car's performance credentials, far from it. The problem is that the GT-R is equipped with a 'black box', similar in theory to the kind found on airplanes to help determine what went wrong in case of an accident or breakdown. By the end of 2012, car buyers won't have a choice as to whether their new car is equipped with a 'black box,' or Electronic Data Recorder -- they will be federally mandated to carry one. These devices track information that could be useful to the manufacturer in determining exactly what is, or has been, going on with a car. There are a few worries, though, that warranty claims could be denied if the automaker, Nissan in this case, deems that the car was being raced or abused in some way or by police or lawyers to determine culpability. Nissan's GT-R carries an on-board recorder that keeps track of the past few day's worth of driving and cannot be disabled. In the case of Scott Weires, an attorney no less, that was enough to look elsewhere. Would it be for you? Just like Ford is constantly teasing us with cryptic pictures of its new Mustang, Lamborghini is revealing piece by piece its mysterious Paris Show car that is rumored to be a 4-door sports sedan concept. 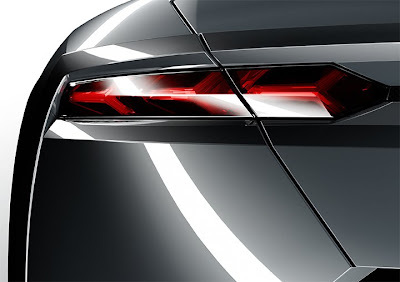 This time, the third teaser image gives us glimps of the vehicle's taillight. According to a credible source of ours that works over at Tony’s cappuccino shop behind Lamborghini’s head offices in Sant’Agata Bolognese, the next teaser shots will depict the yet to be named vehicle’s roof lining and license plate holders. 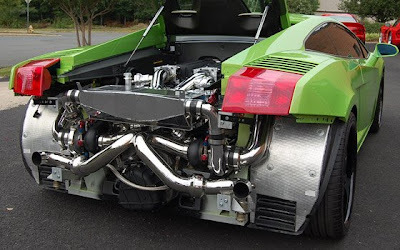 Underground Racing are a North Carolina-based tuning company specialising in twin-turbo conversions. This is their 1025bhp Gallardo. Yep. That's 1025 brake horsepowers. We're not quite sure what to say, if we're honest. The sheer insanity of the concept and the brilliance of the execution has rendered us pretty much speechless. Sure, it runs on race fuel but from what we understand the Gallardo keeps its 4wd and stability systems - although we'd imagine the ESP is a little overworked. The car runs a standard 6-speed gearbox. We'd run the car without the rear bodywork, if the law allowed. It's the ultimate in automotive mooning. 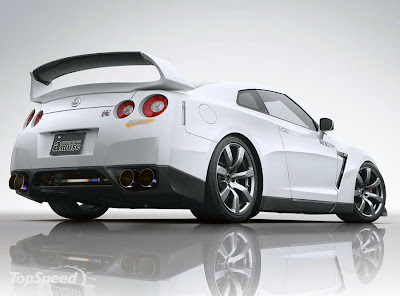 A few months ago I was told that the Japanese tuner Amuse, broke the 600 hp barrier with the Nissan GT-R but without any extra information. Today, the technical information was revealed by Amus themselves. With a new name, called the GT-R Phantom, the upgrade includes a new ECU software boosting the engine to incredibly satisfying yet ratifying number of 611 hp at 6560 rpm and 775 Nm of torque. Due to the light materials used, the vehicle also lost some weight, now it is only 1674 kg! 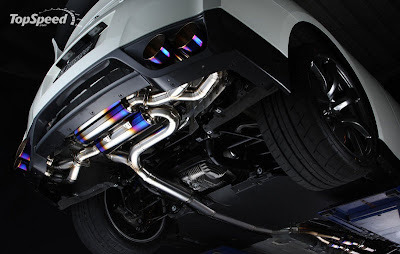 The tuner also added a new exhaust system as well as a new adjustable suspension and standard brakes. 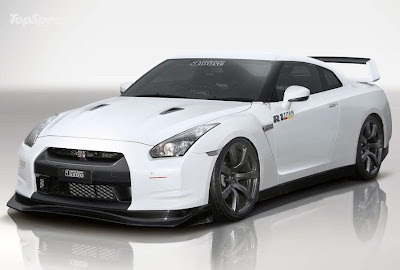 For the exterior, the GT-R Phantom received a carbon fiber front lip spoiler, new side skirts and a carbon fiber rear wing spoiler. In the interior, everything remains the same, com except the addition of the stylish Recaro sport seats. No info for the price yet. 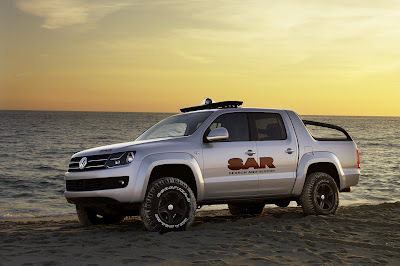 After many speculations and rumors, VW finally lifted the wraps of its forthcoming 1-tonne pickup truck in the form of a pre-production model simply called ‘Pickup’ at the International Automobile Exhibition in Hanover (September 26 to October 02). The concept gives us a taste of the production model that we’ve become accustomed to knowing it as Robust. 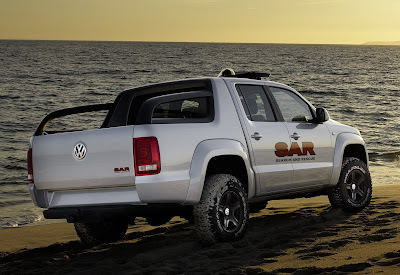 Production of the new Pickup will begin in fall 2009 at Volkswagen’s “Pacheco” plant in Argentina. According to VW, the production model will be initially introduced at the end of 2009 to South America, South Africa, Australia and Europe with other markets following shortly after. 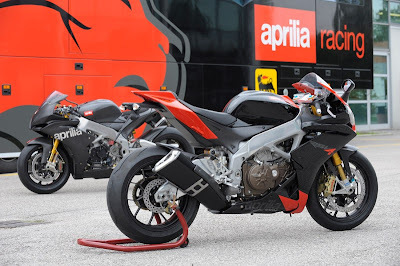 After numerous spy shots and leaked details, Aprilia has finally pulled the wraps off its upcoming RSV4 superbike. This is the machine that the Italian company will use to contest the Superbike World Championship in 2009 against the Ducati 1098 and the Japanese literbikes. To properly do battle, the RSV4 will make some 210-horsepower -- fully competitive with the best the series currently has to offer. While the race-going RSV4 is an amazing piece of kit, it's the street-bred RSV4, which will come in both normal and factory guises, that's of the most interest... since you'll actually be able to purchase one sometime next year. Powered by a 999cc V-Four engine mated to a six-speed gearbox with slipper clutch, we expect the Factory to be on par power-wise with the Ducati 1098R, meaning about 180 horses or more. Coupled to a wet weight of 418 pounds the RSV4 will be one seriously fast machine. 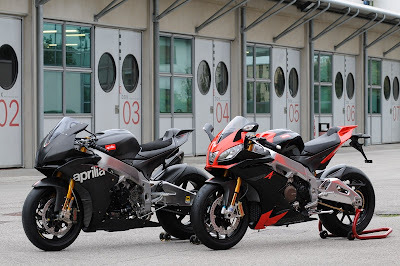 A ride-by-wire system will likely allow Aprilia to offer more than one engine map to adjust power for specific conditions. One of the more interesting bits of kit that will be standard across the line are the numerous chassis adjustments, including the ability to alter the swingarm position and the headstock angle. Styling-wise, the new RSV4 tips its hat to the RSV 1000 R that we tested earlier this year with its third eye headlight that mimics the shape of the old ram-air duct from the twin. The rest of the bike looks thoroughly new and appropriately awesome. We're not sure how much it'll cost, but we know we want one regardless. 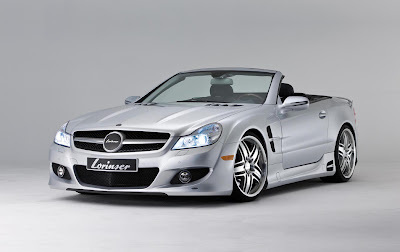 With the arrival of the new Mercedes-Benz SL, the usual suspects will update their body and tuning packages accordingly. Observers familiar with Lorinser's stuff know what to expect here, and in typical fashion, there's enough mesh grillework to allow for every conceivable cooling need, real or imagined. A large vertical vent replaces the "gills" that are standard on the current SL's front fender. There's also an opening in the side skirts ahead of the rear wheel, and a wide grille spanning the area between the exhausts, too. The whole affair sits on a lowered suspension, and big Lorinser alloys fill up the wheel wells. Power upgrades aren't ready yet, so for the time being, the kit's an all-show, same-go proposition. Image-conscious buyers will want to keep their original tri-star grille emblem handy, as that much plainer Lorinder badge isn't going to impress the neighbors nearly as much. 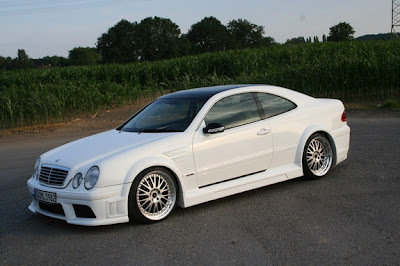 Wow, this is one the best tuned Mercedes-Benz CLK's I have ever seen, this guy should tune car's for a living, or sell his work to AMG or Brabus or something. He has a custom made Black-Series bodykit. Great looking exhaust, lowered 55mm in the front and 45 in the rear, and tweaked his ECU with Oettilnghause ECU Performance Kit. 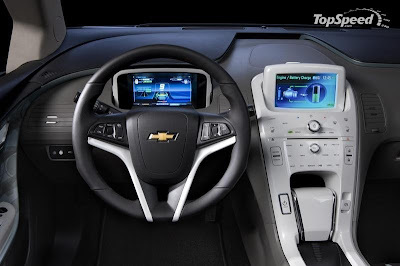 There are some new features in the new Chevy Volt. For instance, what seems to be a GPS system at first sight, actually can also tell the driver how far he is from home. This is especially helpful in an electric car that is, it usually charges at home. It is a plug-in electric computer which can calculate how much time the car can use the gas engine to charge the on-board battery pack, providing a real fuel economy. MTM has been tuning Audis for more than 20 years, and they have put that experience into developing a new twin-screw supercharger system that pairs up to the 4.2-liter V8 in the Audi R8. The addition of forced induction brings a total output of 552 hp, coincidentally matching the output of the R8's cousin, the Lamborghini Gallardo LP560-4. 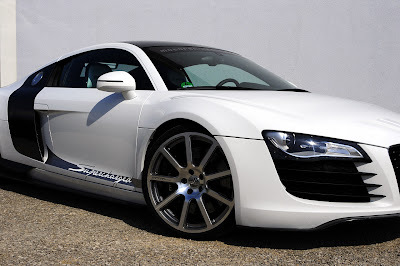 In addition to the supercharger kit, MTM also offers a complete line of products for the R8 including brake upgrades, 20" forged wheels, high-flow exhaust system, and a variety of exterior style upgrades. Saab may have stagnated into GM-branded middle-of-the-roadness in recent years, but when the engineers from Trollhatten are left to their own devices, they can still come up with some pretty nifty technology. Like this, the 9-X Air Concept. Forget the standard Saab concept face and eminently sensible 1.4-litre turbocharged engine (E85 powered, naturally) and take a look at that roof instead. 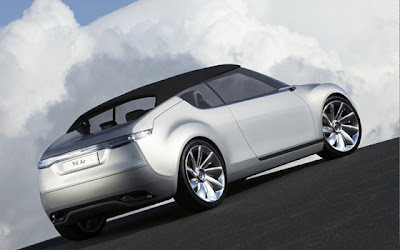 The Air Concept is, essentially, Saab's guess at what the next-gen 9-3 convertible will look like when it goes on sale around 2013, and it features a very cool folding soft-top roof. There's a two-piece fabric cover with a solid glass rear screen, which descends when the roof is folded back and then raises back up to cut out turbulence in the cabin. Shunning a fashionable folding hard top is good news for weight, while a glass screen eliminates the need for one of those huge cumbersome deflector-thingies that fit over the rear seat. Neat, eh? 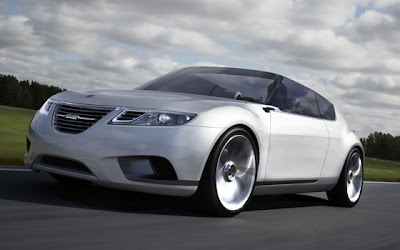 Saab reckons the added lightness should allow the Air Concept to hit 60mph in just over eight seconds while returning a healthy 107g/km of CO2. With the 2010 Ford Mustang set to be unveiled in November, time is running out for tuners to put out special edition Mustangs. 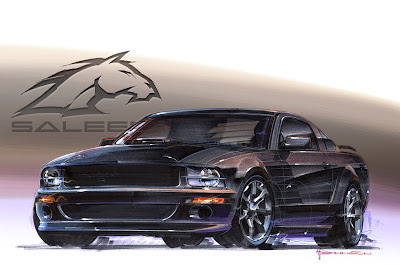 Saleen seems to have saved its best for last and will be unveiling a "Dark Horse" Mustang next week. The super-Stang will feature the 620 horsepower V8 from the S302 Extreme plus the SuperShaker system that combines a functional ram air system with Saleen's twin-screw supercharger system - a first for a Saleen production car. The "Dark Horse" will sport the Heritage body style and have additional features exclusive to the model. 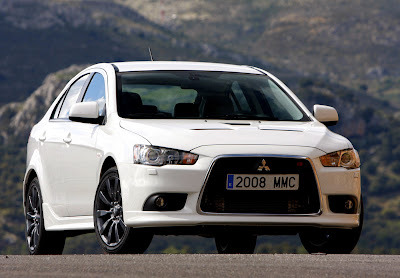 Production will begin in the Fall of 2008, and only 25 will be produced. 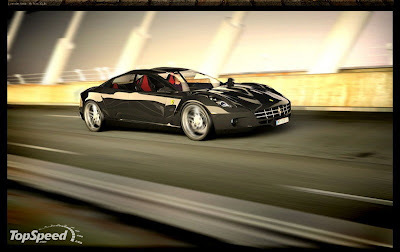 Our best guess for the "Dark Horse" moniker is that the car will feature an all matte-black paint scheme. We'll bring you all the details of the car after its official debut next week. 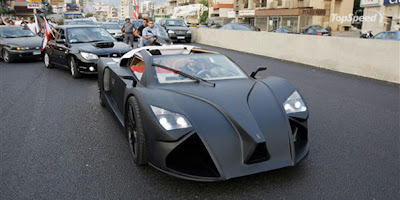 A supercar from Lebanon? and it’s premiering in the U.S.?! Welcome to the global market. Of course you never heard about it. Unless you know David Frem, a Lebanese student at American University of Science and Technology, who is the proud designer. Frem wants to compete with models from Ferrari, and he’s off to a slow start. 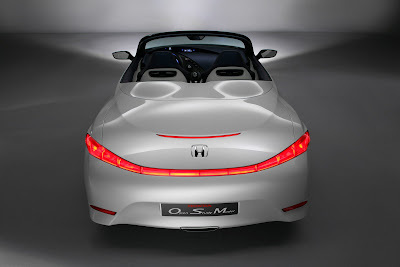 The Frem F1 is built with a 2.0-liter 16v four-cylinder engine sourced from Volkswagen and a transmission from Audi. This combination should be good for a top speed around 125 mph. But it does come with some nice luxury options like xenon lights, reverse parking camera, navigation system and a glass roof. The fiberglass body is only 10 cm off the ground for better stability and traction. The mystery surrounding Lamborghini’s Paris Show car has just become more deep as the Italian sports car maker released a second teaser photo, this time depicting part of the vehicle’s front end and the black alloy wheel that’s wrapped in Pirelli P-Zero tires. We also see the carbon-fiber front lip spoiler and the colors of the Italian flag on the car’s side vents. So, any idea what type of car this is? "Save your pennies" is a common frase for anyone looking to purchase anything, but after this truck accident on Interstate 95 in Florida, it may be "swipe them nickels." Drivers may be parking on the shoulder and breaking out the metal detector after a couple of tractor trailers were involved in a crash that claimed one life and caused one of the rigs to spill all its cargo of nickels all over the the freeway. 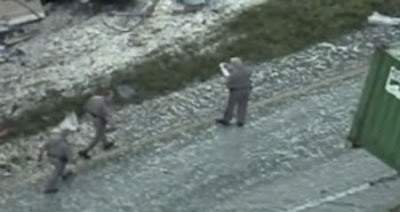 The coinage, looks like snow across the roadway, it is worth about $187,000, but I doubt too much of that total will be left lying in the grass. A Ferrari 250 GTO just took the honor of being the world’s most expensive car after it was sold for $28.5 million (that's more than a Buggati). The car is now in England with its new owner, and you can imagine he wants the exact location of his new treasure to remain secret. 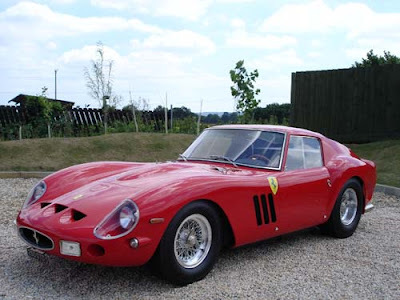 There were only 39 GTOs ever produced (most cars in its class have over 100 examples produced at the time,) and monay experts say that the 250 GTO is one of the most most desirable Ferraris ever. The 250 GTO is powered by a 3 liter (180 cubic inches) engine, a version of the Gioacchino Colombo short-block designed V12. All engines were tested on a dynomometer and found to achieve between 290 to just over 300 horsepower, peaking at around 7500 rpm. The car is capable of a top speed of 174 mph and makes the 0 to 60 mph sprint in 5.4 seconds. Pretty good for such an old car. 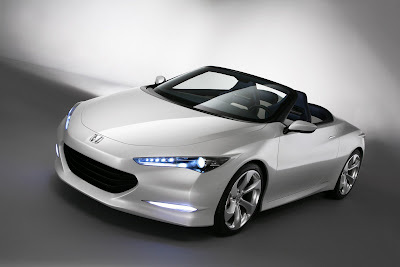 Honda's low-emission sportscar study model has been revealed at the British International Motor Show, at ExCel, London. The lightweight roadster design study is a concept showing Honda's core engineering principals, designing stylish and exciting cars that are also environmentally responsible. 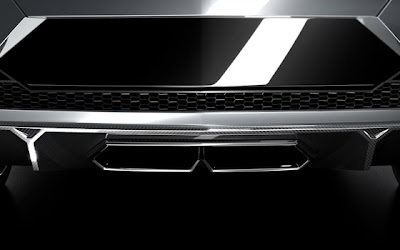 First Porsche, and now it's Lambo's turn to reveal a frustrating teaser picture of a potential new star of the upcoming Paris show. Unlike Porsche, though, this one has taken us a bit by surprise we genuinely have no idea what it is. And that tightly cropped carbon rear diffuser isnt giving anything away. So, until Lamborghini spills the beans we're left to speculate. We've seen a 4x4 concept in the past with the LM and heard (very) unconfirmed rumours of a new entry-level model to slot in beneath Gallardo. Some have even said the words 'four' and 'door'. One thing we do know is we'll get an answer at some point before October 2. Mercedes-Benz has taken the wraps off of its first hybrid passenger car, the S400 BlueHYBRID. Based on the S350, this mild hybrid pairs an electric motor/generator and the first lithium-ion battery in a production car with a specially tuned version of the company's 3.5L V6 driving the wheels through a 7-speed automatic transmission. The V6 produces 279 horsepower and can be aided by the electric motor during acceleration with an additional 20 horsepower and 88 lb-ft of torque, giving the drivetrain a combined torque output of 285 lb-ft and what MB calls an electric "boost" effect. 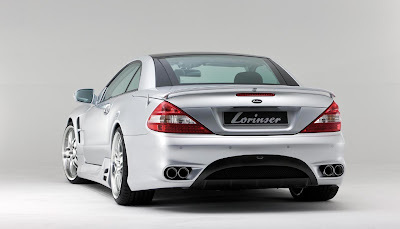 Like most hybrids, the S400 features a start-stop function and regenerative braking, but since Mercedes didn't want any interior or trunk space sacrificed for batteries, the S400's special li-ion battery was made small enough to be placed under the hood with the engine. The only evidence you're driving a hybrid while behind the wheel is a special display embedded in the gauge cluster that shows where the energy is flowing at any particular moment. The net result of all this technology is a very large car that sips fuel at the rate of 7.9 liters per 100 kilometers, or what would be around 29 mpg in the U.S. The M-B S400 BlueHYBRID will be available in Europe next summer, and we expect to see it offered elsewhere, including the U.S., not long after. While most vehicles leaving the Crewe factory in England are bound to spend their whole life without any sort of customizations, there are some owners who wouldn’t mind jazzing up their Bentley. 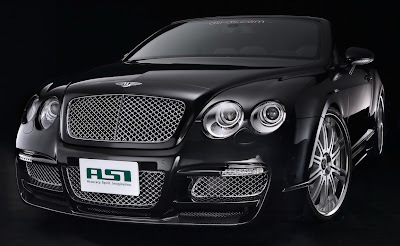 One of the few tuners that specialize purely on Bentley cars is a Japanese firm called ASI which stands for “Accuracy Spirit Imagination”. 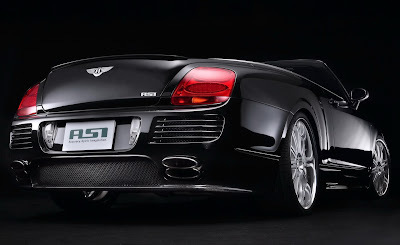 ASI’s latest proposition concerns a full bodykit for the drop top Continental GTC. 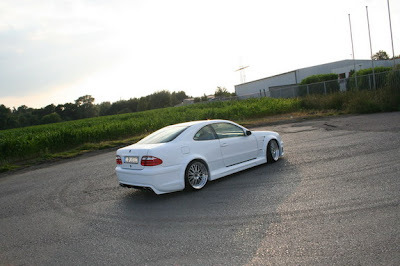 The package is made up of a front bumper spoiler with a carbon fiber lip and LED daytime lights, side skirts, a rear bumper with a carbon fiber lip and exhaust cutter and finally a discreet boot spoiler made out of carbon fiber. The aero kit is complemented by a set of 22-inch alloy rims wrapped in 265/30 tires up front and 295/25 at the rear. Cadillac is working on a brand new car that will compete with BMW's very own 3-series. It's going to be built on the new Alpha RWD platform. 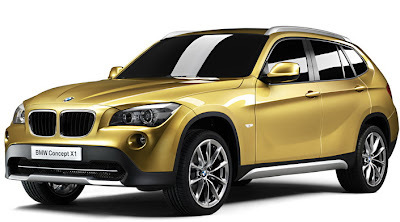 The same Alpha platform will be the basis for a folding hardtop coupe, or a conventional coupe and convertible. 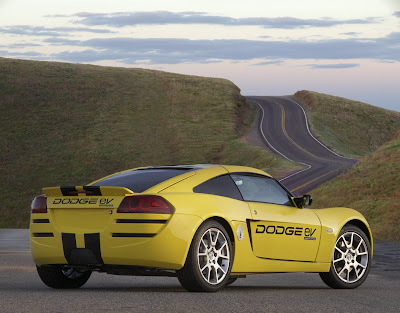 On the other hand GM put on hold the DT7 project to make this one (the program to combine the STS and DTS models into one, rear-wheel-drive flagship sedan). 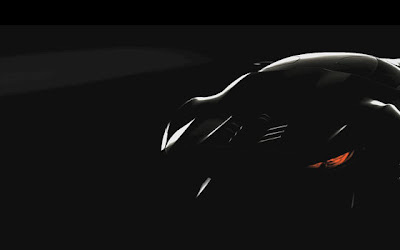 The DT7 is now set to be revealed in 2012 and not 2011 as previously announced.